The Contract - I Love ABA! *Disclaimer: This post will be most helpful for families who hire staff directly, and ABA professionals who work as independent contractors. I have mentioned briefly in previous posts about hiring ABA Therapists (Hiring ABA Therapists: The Interview, Hiring ABA Therapists: The Other Side of the Interview ) that it is important during the interview process to clearly outline the position, discuss rules/policies, and determine if the lovely person sitting in front of you will be a good fit for your child. Not every ABA therapist will be a good fit for every family. I have worked with all kinds of professionals, some were very sweet and timid, and some were strict and no-nonsense. Some ABA therapists are great and energetic with preschool aged children, and some ABA therapists are horrible with young children. Matching a particular type of therapist with just any family isn’t the best idea. Ideally, you want the therapist to be a good fit with your family, have good rapport with your child, as well as be experienced and educated in ABA methodology (although this can always be taught). It is important as a parent hiring staff, or as an ABA therapist working with a family, to view yourself as a professional. I started out in this field working for families directly, and I made many mistakes as far as professionalism, communicating with the family, asking for pay raises too quickly, getting too close to the family, etc. Working in someones home as an ABA therapist is not a typical 9-5 job, and for many families it’s their first experience being a “manager” over staff. Conflicts, problems, and miscommunications can arise on the side of the parents, or the ABA staff. 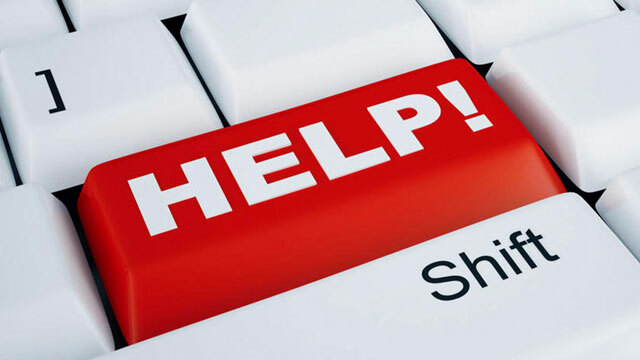 I love to share information on my blog that can prevent other people from making the mistakes I made, especially ABA therapists who are new to this field. In addition to understanding how to conduct the hiring interview (from the perspective of the parent and the ABA staff) I highly recommend creating an Employment Contract. 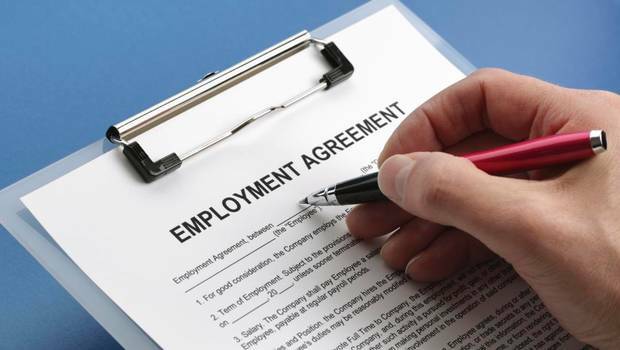 The purpose of the employment contract is to clearly outline the expectations, guidelines, and requirements of the position. For parents, you should have all ABA staff sign a contract before working with your child. For ABA therapists, before beginning work with the family you should sit down and go over the contract together. Does the therapist offer babysitting services? If the therapist stays late for 45 minutes after the session, is that overtime? If the therapist works on the 4th of July, is there vacation pay offered? If a sibling of the client breaks one of the therapists toys, who pays for that? What does the therapist do if he/she shows up for a session and the child is throwing up? How much notice does the therapist need to give before quitting? Can the parents sit in on the therapy session and observe? Who buys reinforcers: the parents or the ABA therapist? Does the therapist still get paid if the family abruptly cancels a session? What if the session is cancelled after the therapist has already arrived at the family’s house? Can the parents leave the therapist alone with the child, or do they have to be home the entire session? If the parents are divorced, is the therapist expected to conduct therapy at 2 separate homes? How do pay raises work? Will punishment techniques be used? If there is no BCBA or Consultant, who is responsible for managing and overseeing the progress of therapy? I work with many families who hire inexperienced individuals and then provide them with training. This can be expensive, as well as take weeks or months to accomplish. Imagine how frustrating it would be to spend hundreds of dollars and several months training a college student, only to have her quit suddenly after she was denied a raise. I see things like that happen all the time, which is why its so important to hammer out these employment details before beginning work, or before hiring an ABA therapist to work with your child. For the parents, the employment contract will help you to make clear what your expectations are and the level of professionalism you expect. 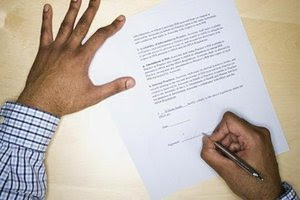 If the person is unwilling to sign the contract or wants to change everything in it, that’s a pretty good indicator of a poor candidate for the position. I recommend mentioning the contract during the initial interview, so all candidates will be forewarned that there are specific standards of excellence that must be met in order for them to be employed by your family. For ABA therapists, having an employment contract demonstrates that you are a professional, and that you have guidelines and policies that you need to maintain in order to work with a family. Often the family will look to the ABA therapist to establish the level of professionalism, so if you show up to the interview with a contract to discuss, that sends a clear message: “I’m a professional, and I take my job seriously”. *Note: These are just samples; you will likely need to modify the content to fit your particular needs and concerns. For both parents and ABA therapists, it’s important to emphasize that the contract is a requirement for employment and is not optional. 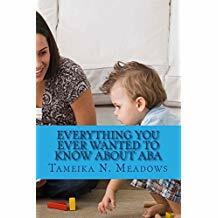 For ABA therapists, I also suggest adding a Parent Involvement Policy to the contract, in order to communicate to the family from day 1 the level of involvement that you expect from them. 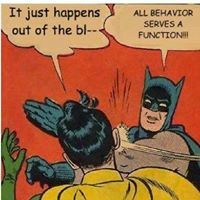 I do not personally recommend working with a family who is unable/unwilling to actively participate in the ABA treatment. Well, this is my first visit to your blog! But we admire the precious time and effort you put into it, specially into interesting Post you share now! Thanks so much, and welcome to the blog! Hello, are you located in California?